Gurugram, March 24: Union Home Minister Rajnath Singh Saturday said that "Maoism has become a serious challenge...but because of the gallant and determined action of the CRPF and other forces, these incidents have come down drastically." On the occasion of 79th Raising Day of the Central Reserve Police Force (CRPF) the Home Minister said that the “serious” challenge of Naxalism in the country has entered its “last leg” and Maoists are now resorting to coward ambushes against security forces as they are unable to undertake a direct fight. Addressing troops of the country’s lead anti-Naxal operations force CRPF on the occasion of their 79th Raising Day, the home minister said due to operational efforts of these forces incidents of Left Wing Extremism (LWE) have “drastically” come down in the recent past and the casualty rate of extremists has gone up. “Maoism has become a serious challenge…but because of the gallant and determined action of the CRPF and other forces, these incidents have come down drastically.” “Earlier, the casualty amongst security forces personnel and civilians was higher but now it is the reverse and the casualty rate of the Maoist cadres is higher,” Singh said at the parade ground of the CRPF officers academy here in Kadarpur. “I can say that the LWE problem in the country has entered its last leg and the people very well understand that Naxals are anti-poor, anti-tribal and anti-development,” the top boss of the country’s internal security establishment said referring to the killing of CRPF men during road construction work in LWE affected areas. 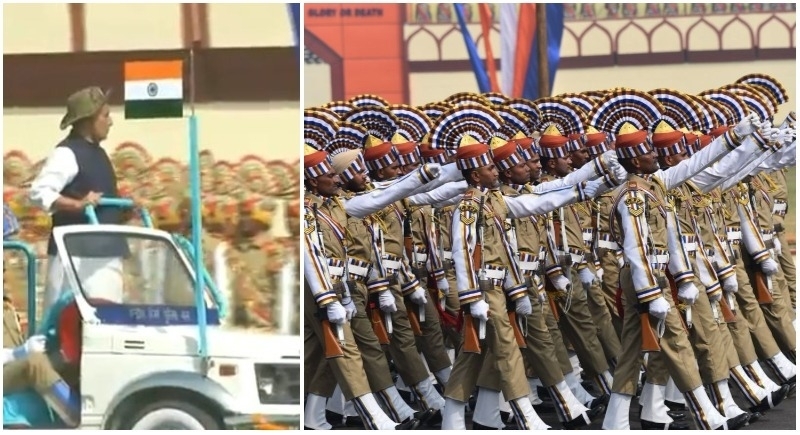 He asked the CRPF personnel to continue rendering their “multi-dimensional” role in various theatres like the insurgency in the Kashmir valley and the northeast as also against the LWE menace. The Central Reserve Police Force came into existence as Crown Representative’s Police on 27th July 1939. It became the Central Reserve Police Force on enactment of the CRPF Act on 28th December 1949. It has completed 77 years of glorious history. The Force has grown into a big organization with 242 Bns, (including 204 executive Bns, 6 Mahila Bns, 15 RAF Bns, 10 CoBRA Bns, 5 Signal Bns and 1 Special Duty Group, 1 Parliament Duty Group), 43 Group Centres, 20 Training Institutions, 3 CWS, 7 AWS, 3 SWS, 4 Composite Hospitals of 100 bed and 17 Composite Hospitals of 50 bed. The demoralised Naxal cadres are now not able to undertake a fight head-on with security forces and hence with their limited capabilities are now resorting to coward ambushes and attacks, he said while addressing the men and officers of the force. The minister, during his speech, paid tributes to the 9 men of the force who were killed in a Naxal ambush in Chhattisgarh’s Sukma early this month after a deadly explosive was clandestinely triggered by ultras underneath a mine protected vehicle. Praising the CRPF Bravehearts Rajnath said: “You have always given a muh-tod-jawab (befitting reply) to these activities,” Singh said. The minister lauded the gallantry of the troops of the country’s largest paramilitary force as he underlined that the CRPF men and women did not “lose their patience” during the deteriorating security situation in the Kashmir valley. He praised the courage of CRPF Commandant Chetan Cheeta who was part of the anniversary parade. Cheeta took nine bullets during an operation in Kashmir valley last year and displayed rare grit and brilliance during recuperation and he also joined duty a few days back at the force headquarters in Delhi. Singh said security forces like the CRPF need to ensure that no obstacle comes in the way of India becoming an economic superpower.